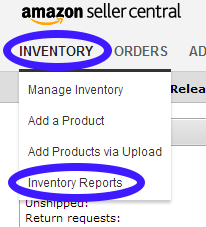 The Active Listing Report provides a listing of your products at the time the report was run. It will include all of your product listings, including those with zero quantity. It also will include other pertinent information like the product title and product identifier. The ASIN is also returned as the product-id, but the product id may so be an industry standard identifier like ISBN, UPC or EAN. It also includes condition and items notes among others. It’s a complete snapshot of your listings. Note: If you have more than 50k of listings, then you will need to run an Inventory Report.